Contains Equi-Jewel a high fat stabalised rice bran with calcium, vitamin E and selenium. It is naturally high in oil and fibre but low in starch. 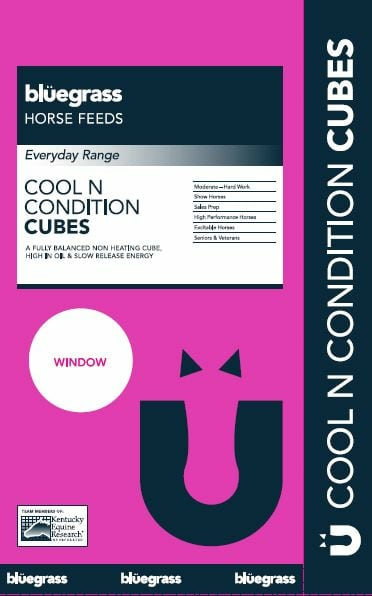 The addition of different energy sources to this cube promotes weight gain without the "fizz" temperament often associated with high grain diets. High fat content from various sources to help increases the energy density of the feed, without the fizz commonly associated with high grain horse feeds.